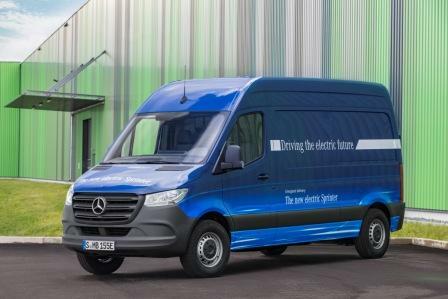 Mercedes-Benz Sprinter Update Revealed In Germany. | | A Wheel Thing. 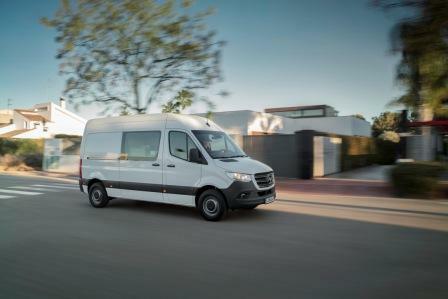 Merecedes-Benz have released details of the updated for 2018 Sprinter van range. There’s a fresh new front end, a more ergonomically inclined interior, and a refreshed infotainment package to help in the business sphere. 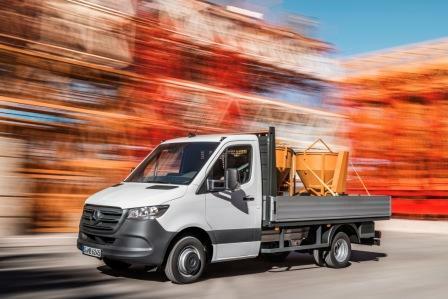 M-B say that there can be up to 1,734 different Sprinter variants just using the basic parameters such as body type, powertrain concept, cab configuration, body length, tonnage and cargo space height. This variability makes the new Sprinter the ideal vehicle for many different transport needs and sectors. There’s rear and all wheel drive to choose from along with a new to the Sprinter nine speed auto and new six speed manual. A front wheel drive variant is mated with a “tractor head” to allow more flexibility. This also provides increased cargo carrying by offering an extra fifty kilo capacity and an 80 millimetre lower lip makes loading and unloading easier. 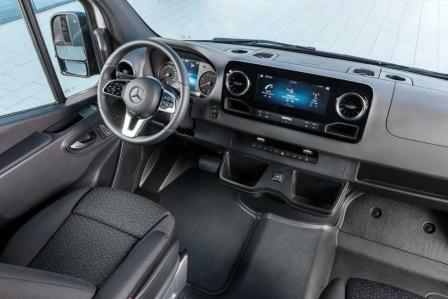 Ergonomic improvements include reshaped seats for better support and more comfort, optional memory placement, redesigned airvent placement and keyless start. In order to improve the ergonomics of loading, the wheel housings are loadable, and the rooflines have been rejigged in order to, when combined with the new front wheel drive, offer that extra cargo. 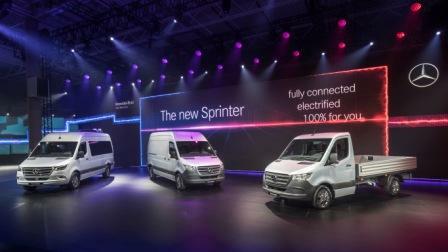 Be the first to comment on "Mercedes-Benz Sprinter Update Revealed In Germany."